Wine Accessories, The Towne Winer Guelph for all your wine making supplies. clients and don’t forget to treat yourself! 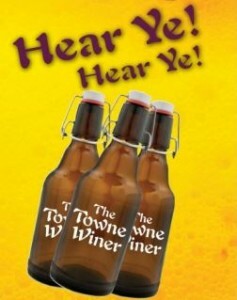 Come visit The Towne Winer today! The most important tools a winer could use to improve their wine experience! Wine which has been allowed to breathe tastes better. 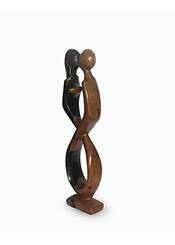 As wine breathes, it opens up, and releases its intended aromas and flavors. Oxygen reacts with the volatile compounds present in the wine and releases and intensifies the aromas and flavors in it. Traditionally, decanters were used to aerate wine, but by utilizing a hand held aerator also in conjunction with the decanter speeds up greatly this oxygenation process with ease and convenience. 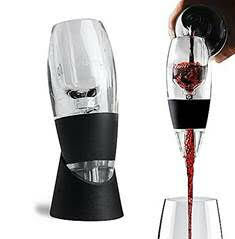 Simply aerate through the aerator into your decanter and THEN aerate from the decanter thru the aerator again into your wine stem. Perfect aeration in the time it takes to pour a glass of opened up wine – smoother tannins, reduced SO2 and CO2 and enhanced aromatics and flavours result! 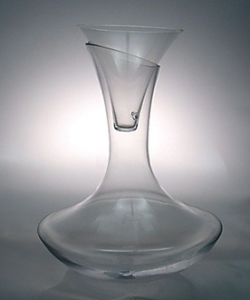 Take a step into the future of wine enjoyment with your double aeration/decantation! Join millions of people around the world making a statement about climate change, eco-oenophiles can now use the new era of premium Bag-in-Box (BIB) wine–on–tap systems. Choosing a premium wine on tap system instead of carbon-inefficient heavy glass bottles reduces packaging waste by at least 85% and carbon emissions by 55% without sacrificing quality. It saves green, too; a 7 litre dispenser of wine holds the equivalent of 9 glass bottles but costs much less plus new technology keeps air out and preserves flavour in for at least six months once the package is open. Bottle one or two bottles of wine for comparison when filling the recyclable bags! … now you can tap off a glass any time! This wine dispenser keeps up to 9 bottles of wine fresh for 6 months. Store on a shelf for reds or in a fridge for whites. 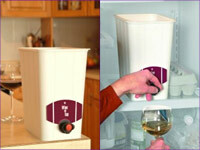 1 Wine on Tap Container and Spout Retainer. 1 Sanitized Oxygen Barrier Bag. 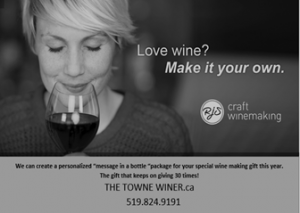 The included Wine on Tap bag with Deluxe Dispensing Tap is pre-sanitized and intended for single use operation. Replacement Wine on Tap bags are available from your retailer. Nedd 3 bags per standard 23L. selection of wine. Reuse your wine kit bag with a standard dispensing tap readily available at home-brew shops.